Bitcoin’s market capitalization (the total worth of coins in USD) is about 1.64 billion—that’s about the size the yearly GDP of the Belize economy. ALL forms of currency and assets can be seized by the U.S. government–no law needs to be broken. 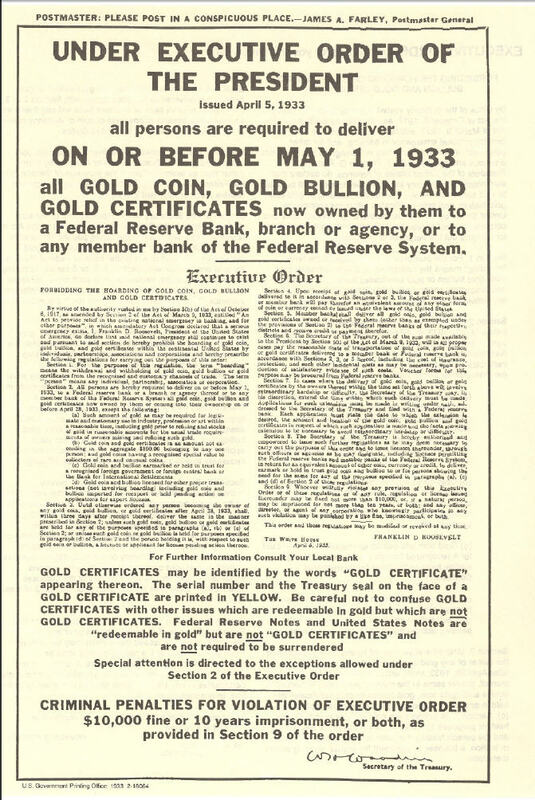 In 1933 Executive Order 6102 made holding gold illegal, and the U.S. government seized people’s gold under the threat of prison time if they did not. Bitcoin, unlike gold, cannot be seized. The federal government adds about $40 billion dollars to the economy each month. That’s brand new money that makes your money worth just a little bit less. Corporate profits and the stock market are at an all-time high, and wage earning are at an all-time low. Banks operating in the U.S. get to commit fraud and not be punished. E-commerce sales topped 1 trillion this year. Bitcoin make the same transaction fees about 0.1% (that is a high bitcoin transaction fee)–a 2,000% savings over using traditional e-commerce methods. Sending a wire internationally can take weeks, can get lost, will be subject to substantial fees, and you will face at least a 1% conversation fee. Also, if the amount is in excess of $50,000 you will have to jump through quite a bit of paperwork. With Bitcoin it takes about 10 minutes. You can also transfer as much money as you would like and there are no hoops to jump through. The shadow economy is one of the largest economies in the world ($10 Trillion) and none of it is done through banking. It’s all cash and unofficial—to bitcoin and other digital currencies, this is a new market that can be empowered IF bitcoin can get to them. M-PSEA, a mobile banking program in Kenya captures 30% of all commerce and more than 90% of Kenyans use it. And Kipochi now directly links bitcoin and M-PESA. Today, there are more than 25 nations that are facing more than 10% inflation annually. All of the above needs to be taken into consideration when we consider the future of bitcoin. Bitcoin’s success will not be because of its own greatness, but because of how terrible the fiat banking system is. 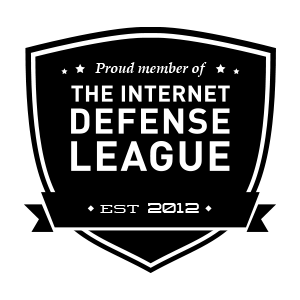 People don’t need a totally private, cryptographically secure currency–they need a government that does not spy on them. Because people do not have faith in the later, the former is needed. Keep in mind as well that the guarantee of privacy is just one of the many features that makes bitcoin great. There is also the near friction-less mode of exchange that it offers, in addition to being a digital storage of wealth–features that make it truly revolutionary and completely out-dates the old model of banking. This has huge implications global south. Why would someone in Zimbabwe trust the government currency after a bout of hyper-inflation? Or Argentina where inflation is about 10.5% per year? We have to keep in mind that global south consist of some of the poorest people in the world, in some of the most corrupt nations in the world. Though it may be several years before anyone even adopts bitcoin in these places, it can offer a powerful mode of wealth protection and storage against corrupt national governments with poor monetary policies. As we move forward into this brave new world of free money, we have to ask ourselves, have our national governments and their monopoly money out lived their purpose?